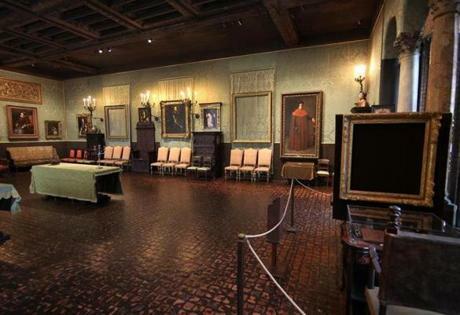 Empty frames still line the walls of the Isabella Stewart Gardner Museum. 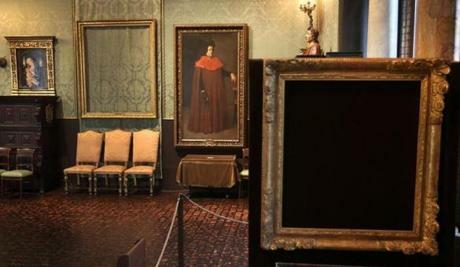 Thieves broke in to the museum and stole the paintings on the morning of March 20, 1990. 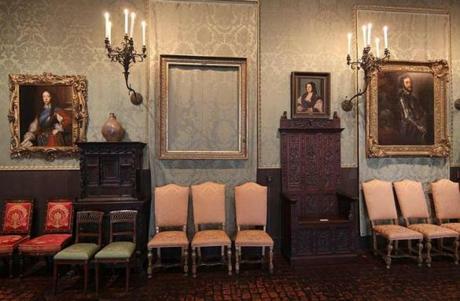 In total, 13 pieces of art were stolen. None have been recovered. 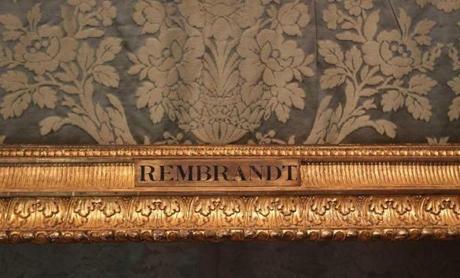 A frame with Rembrandt's name and wall fabric is all that remains of the painting. 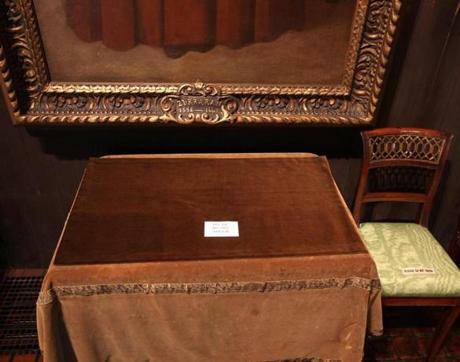 The table where there was a stolen vase.